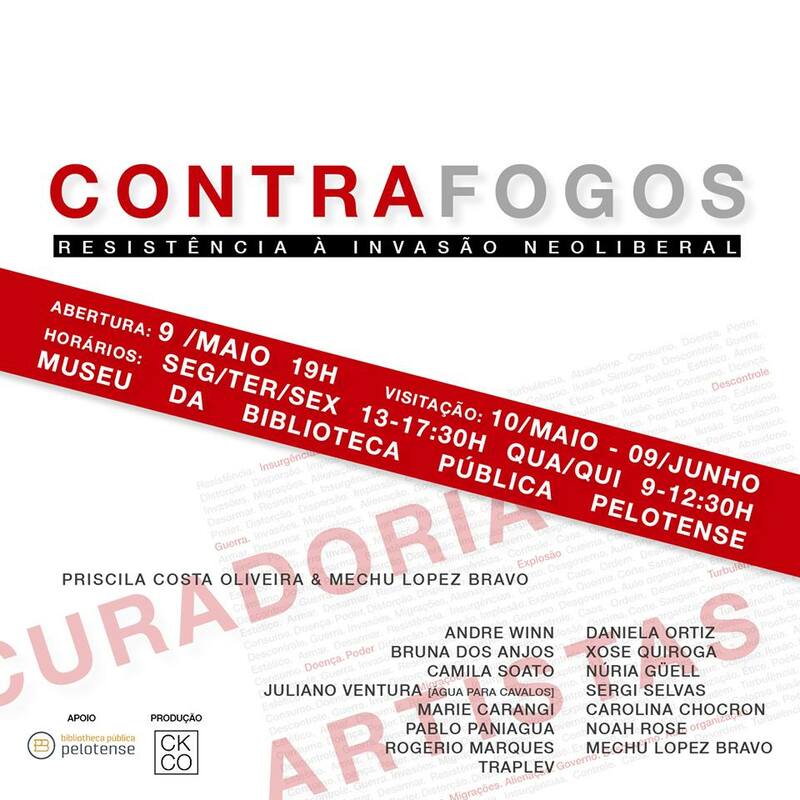 I am delighted to have been invited to show my work in a new group exhibition ‘Contrafogos’ in the Museum of the Public Library of Pelotas, Brasil. I will be showing ‘The Tower Adamant/ A Torre Inquebrantável’ – a photomontage/ text-based piece exploring state surveillance in the historical context of the North of Ireland during the final years of ‘The Troubles’. The exhibition opens on 10 May and runs until 9 June, after which it will be travelling to Florianópolis, Brasil and then Buenos Aires, Argentina, and Montevideo, Uruguay (TBC). The exhibition has been organised and curated by Mechu Lopez Bravo (Catalunya) and Priscila Costa Oliveira (Brasil).